Experienced Delkim users since 1992 will be perfectly aware of the essential requirement to adjust the Delkim’s primary “S” control. It enables the user to balance the Delkim’s response to line movement against the ambient conditions i.e. wind, undertow, current etc. 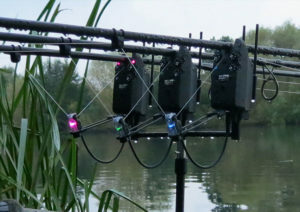 taking into consideration the angler’s set up – line type, diameter and tension plus the ty pe and weight of the visual indicator used. Even more importantly it gives the user the ability to detect exactly what they need to detect with infinite control. It is not an electronic crystal ball or mind reader as electronics cannot replace the MK1 angler’s brain. The main use of the “S” control is to eliminate unwanted false indications caused by the conditions. This is done by turning down the “S” control until the false indications cease. On the Delkim Tx-i Plus and Standard Plus there is also the additional High (+) & Low (-) switch that gives two ranges of sensitivity for even further control. The Delkim Ev Plus has just the single dynamic range “S” control. 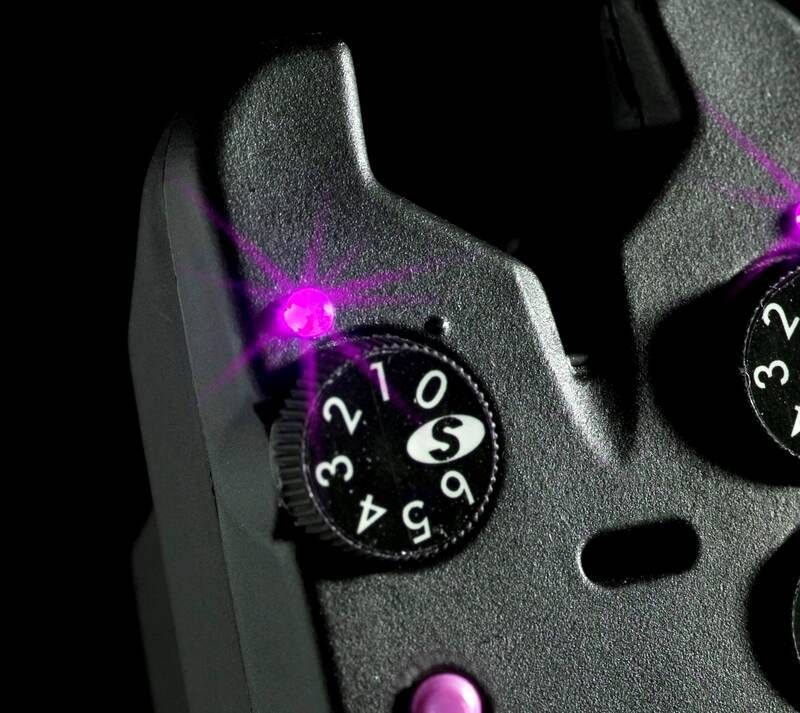 The Delkim’s unique vibration sensing gives the user the ability to detect the slightest movement of the line. When the bait is placed right next to a snag or weed bed where the fish feel safe it is essential that the angler is able to react instantly or risk losing the fish. Sometimes this inevitably results in some false indications where the angler has deliberately set the “S” control high to ensure that no movement of the line is missed. This is a conscious decision by the angler and no electronic bite alarm will ever be able to differentiate between a false indication and an attention grabbing indication where a fish may have touched the line in this situation. In this case, although some false indications may be unwanted, the angler has chosen to set the Delkim’s “S” control possibly higher than they would normally set for the conditions, in the sure knowledge that nothing is going to be missed which keeps them on Red Alert. Another cases where so called false indications can actually be wanted, is to indicate the presence of fish touching the line by increasing the sensitivity. This can be particularly useful in certain circumstances and the special sensitivity of the Delkim gives the angler yet another advantage. 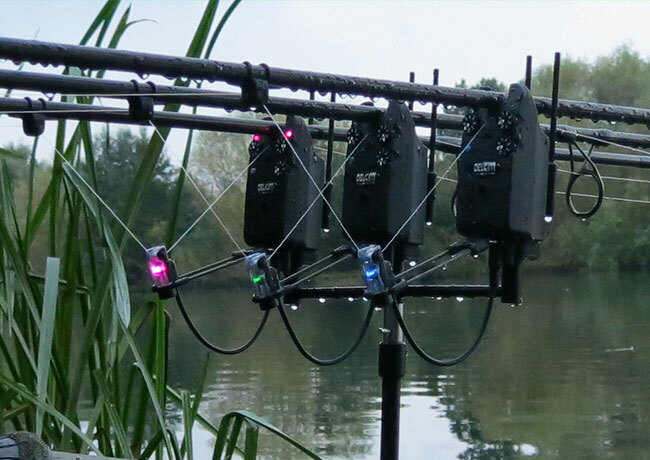 On the other hand if the angler has placed the baits in more open water and is settling down for the night they may not want to be disturbed by false indications. In this case the “S” control may be reduced so that only genuine runs are indicated. Liners may still be indicated but even these may be reduced by reducing the “S” control a little more. The Delkim “S” control puts these decisions in the hands of the angler and not in crystal ball electronics.